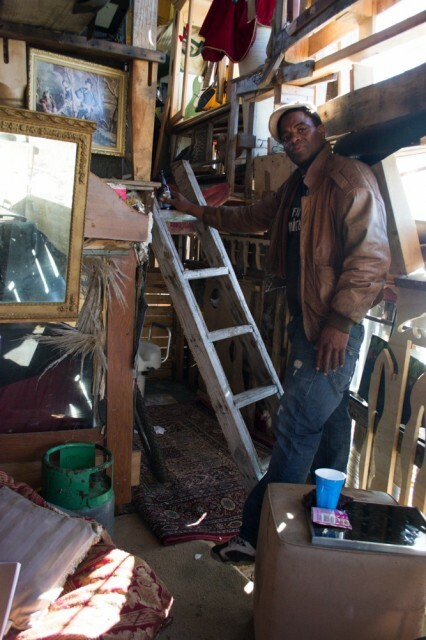 Some people living in campsites on the Albany Bulb will get $3,000 each to leave as part of a settlement between the East Bay City of Albany and 28 residents of the persistent encampment. People who signed the settlement must leave the Bulb by Friday, April 25, and they have agreed to stay away from public open spaces in Albany, including the Bulb and Albany Hill, for a year. Attorneys for the plaintiffs announced the settlement of the federal lawsuit today. East Bay Community Law Center attorney Osha Neumann told KQED's Sara Hossaini that he has mixed feelings about the resolution. "For those that are getting the money, that’s going to help, and they are so unused to getting anything when they’re kicked from one place to another," Neumann said. "I am sad that what we were not able to get is, for all the people who are out here, an alternative place where they could stay. I'm really worried that a lot of the people who were out here are going to end up back on the street." Neumann said the lawsuit was in large part an attempt to force Albany to provide homeless transition services for all of the people at the Bulb as the city inched closer in its decades-long effort to convert the land into a state park. "Unfortunately, I don’t think that’s happened, and for many of them, that’s very, very sad," Neumann said. Albany spokeswoman Nicole Almaguer said the settlement is a positive step and shows the city and the people living on the Bulb are working collaboratively. In addition to the $84,000 settlement announced today, Albany contracted the nonprofit Berkeley Food and Housing Project for more than $60,000 to help the city's homeless population find permanent housing — not an easy task in the Bay Area. The city then expanded its park transition plan to $500,000, which included funding for temporary shelter buildings near the Bulb. That transition plan spurred the lawsuit. More than half the people living on the Bulb said the city had failed to accommodate their disabilities and was violating the Americans with Disabilities Act and threatening a violation of Fourth and 14th Amendment protections. But as the court battles dragged on, police issued more and more tickets for violating the waterfront park's curfew, and the Bulb's population dwindled. After about a year of outreach, Almaguer said 14 people from the Bulb, including one infant, had moved into permanent housing. However, the housing outreach effectiveness is disputed by some of the Bulb residents, especially those with little or no documented income. Almaguer said no one had relocated within Albany, which has no transitional housing or permanent emergency homeless shelter. Many people living on the Bulb consider themselves residents of the city, and some are even registered to vote there. Kristopher Sullivan signed the settlement and is currently carting his belongings to a friend's house in Berkeley. He said he hopes to fix his bike with the money, and then head north to Portland or Seattle. He said he's been living at the Bulb for about three years. "The judge said we have a 99 percent chance of losing, and the cops are going to come and force people out, and they’re going to start ticketing and start arresting," Sullivan said. "Once you’re in jail they take all your stuff anyway. So it was either going to be that or nothing at all, and possibly some days in jail, and court costs, and community service, and it would end up costing me money." But he doesn't sound like someone who had just won a fist-full of money. His voice had a defeated sadness, like he'd lost something. "Before, I always had the security of being able to keep my stuff somewhere, being able to go somewhere at night, somewhere I could cook dinner, a feeling of security," Sullivan said. "Now that's stripped away. It's gone." Not everyone signed the settlement agreement. Amber Whitson, who has lived at the Bulb for about eight years, says she and about seven other people plan to stay. "My biggest fight right now is trying to save the art," she said, adding that she did not accept the $3,000 and refuses to sign anything keeping her away from the Bulb for a year. 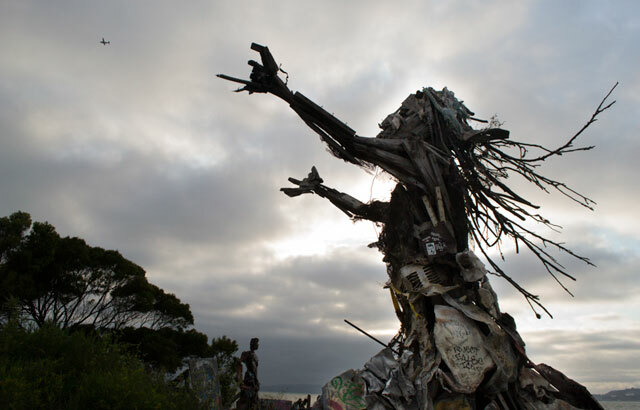 "Once the last people that live here are gone, the art is going to get torn down, the castle, the sculptures, all of it." Whitson said the tent village supporters are hosting an art exhibition event on May 3 at the Bulb, starting at 3 p.m.